Titan Poker is constantly improving its poker software in response to the feedback we receive from our players. Our developers strive to create the best possible poker environment and we frequently upgrade our software with new features. 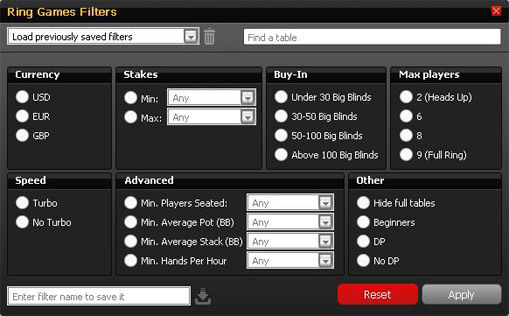 This page lists some of the most recent upgrades and new exciting features added to the free Titan Poker Software. A small token icon is placed next to tournaments to which players can register by using a token. The icon is displayed only to players who have the appropriate tokens available in their account. When registering to real money tournaments, if there is only one buy-in method available, players will be registered in one step. If more than one method is available, players can choose the method they want to use in order to buy in. The Poker Lobby Options menu is replaced with a Settings pop-up window. 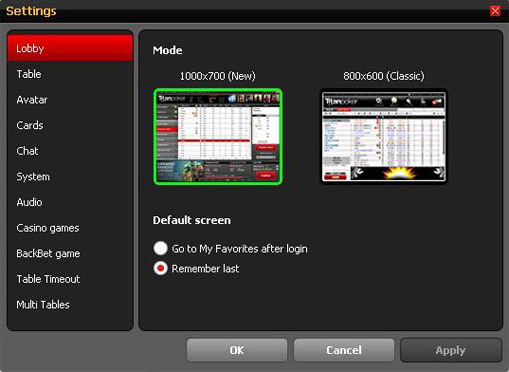 From the Settings window players can switch between the settings groups, set one or more options and apply all of them with one click of the Apply button. Many new options have been added to the filters. The most noticeable is the option to save different filters. New filters are available for Ring Games, Tournaments and Sit & Go. 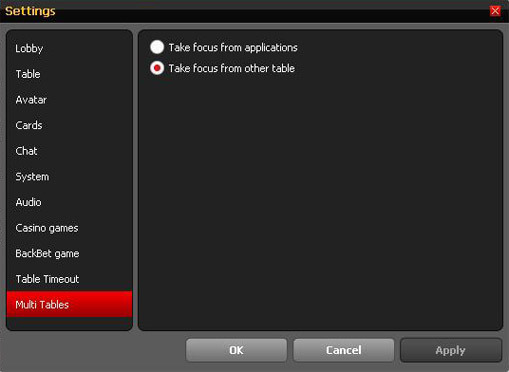 Players can choose if a table that requires action will take focus from other tables and/or from other computer applications. 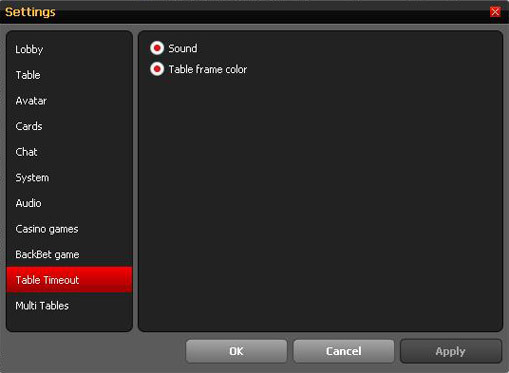 Players can choose whether they want to have sound/table frame color alerts when they are almost out of time to act.